After reaching home (Angelville), Jesse, his girlfriend Tulip, and Irish vampire Cassidy found out that they have been awaited by old grudges and deadly obligations. But, let’s wait and watch if we still be going to see more of such adventures with our main protagonist, Jesse and company. Until then, here’s everything that you need to know. 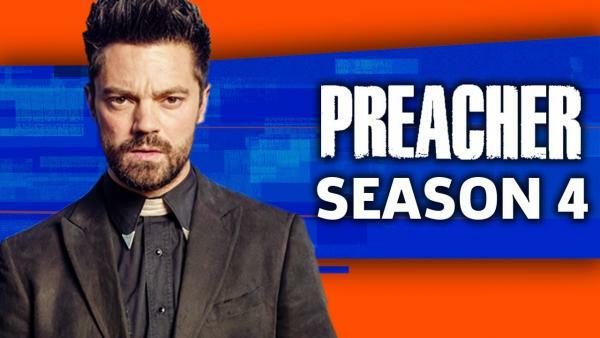 2 Preacher season 4 release date: When is it going to premiere? 3 Preacher season 4 cast: Who’s returning? 4 Preacher season 4 episodes: How many will there be? In the finale, we saw Jesse killing Marie ‘Gran’ma’ L’Angelle. She got sided with Satan. He killed her to get her back years of abuse. Before killing Marie, Jesse successfully defeated her henchman Jody who had killed Jesse’s father, and TC. Tulip and the Saint of Killers had to fight a lot of neo-Nazis who wanted to rescue Hitler. In the battle, God saved Tulip’s life, and also offered to bless her family if she can persuade Jesse to stop looking for him. But, Tulip declined God’s offer and later on, got reunited with Jesse. However, then they discovered that Cassidy has been taken to headquarters known as Masada where Herr Starr is planning to torture him and kill Jesse. Along with it, Hitler has got Satan’s place in Hell after Satan has been killed by the Saint. Preacher season 4 release date: When is it going to premiere? There is no official word out yet on Preacher’s season 4 release date yet. However, we know that the show has been renewed already in November 2018. But, we recommend you not to get emotionally attached to it as season 3 wasn’t official renewed until October 2017, a month after season 2 was over. As per the expectations, it should release around in late June on AMC in the US. The expectations are based on the facts, history, and trend. The season 2 premiered on June 25, 2017, followed by season 3 on June 24, 2018. The episodes are made available in the UK a day after it has aired in the US. Prime Video airs the new episodes in the UK. As of February 2019, it’s shooting is going on. So, it won’t be out for a while now. Preacher season 4 cast: Who’s returning? Dominic Cooper, Ruth Negga, and Joseph Gilgun will reprise their roles as Jesse, Tulip, and Cassidy, respectively, in season 4 of Preacher. Besides them, Pip Torrens, Noah Taylor, and Julie Ann Emery will return as Herr Starr, Hitler, and Lara Featherstone, respectively. The season 3 got Betty Buckley as Gran’ma and Colin Cunningham (as TC) as series regulars, but none of the two will return for the upcoming season as both of them were killed during the finale. Graham McTavish would return as the Saint of Killers, but his role may be shortened as he has got a new role in Lucifer season 4 as Father Kinley. In Preacher, he portrays a good hearted priest who protects his followers from Satan. Preacher season 4 episodes: How many will there be? The season 2 had got a total of 13 episodes. But, season 3 episode count was reduced to original number as of the season 1 with 10 episodes. We can only guess till there is official announcement. Our best guess is that the show will stick to 10 episodes in new season. Preacher airs on AMC in the US and Amazon Prime Video in the UK.